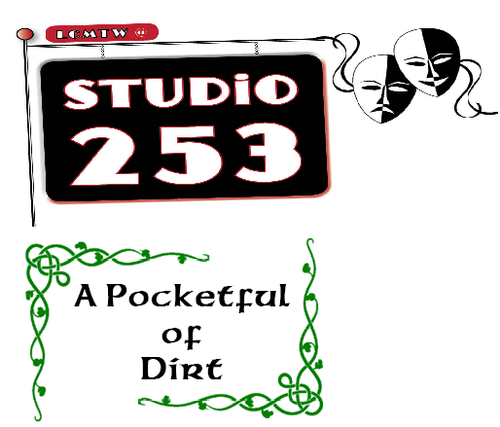 Musical Production, "A Pocketful of Dirt"
Name: Musical Production, "A Pocketful of Dirt"
Join the talented actors and musiscians of Studio 253 when they debut "A Pocketful of Dirt" a new, foot-stomping musical theater production. "A Pocketful of Dirt" tell sthe story of three Irish families in the 11840's and their adventures as they emigrate to America. The show opens Friday April 20th at 7pm. and plays again on Saturday, April 21st also at 7pm, both at the Gryphon Theatre. Tickets are available on line at the Gryphon Theatre box office, in person at the laramie Plains Community Center Main Office, or at the door 30 minutes before each performance. Tickets are $12 for adults, and $6 for children (suitable for ages 6 and up). This program is supported, in part, by a generous grant from the Wyoming Aarts Council and the National Endowment for the Arts. Written and directed by Studio 253 founder Deborah Kassner, "A Pocketful of Dirt" shines a light on 1840's Ireland, when millions of lives were forever changed by the devastating potato famine and the events that followed. Filled with humor, heart and hope, "A Pocketful of Dirt" offers a view into the political and personal conflicts of the time, ideas and issues that are as relevant today as they were 150 years ago. The musical score combines traditional Irish songs and dances with several original tunes, with live music- pIano, accordion, tin whistlers, and fiddlers! 10% of all ticket sales will be donated to Interfaith/Good Samaritan's ACSD Backpack Program, food support for school-age children. Volunteers will also be available to collect donations of canned goods before and after the show. Laramie Children's Musical Theater Workshop @ Stuidio 253 offers quality instruction in singing, acting, writing, stagecraft, comedy/improvisation, video and audio recording, Shakespeare, and more. Students of all ages are invited to participate in the stuido's many programs, designed to build teamwork, encourage collaboration, foster self-reliance and self-esteem, and develop individual talents.